Some 420,000 Rohingya Muslims, a religious and ethnic minority community in Myanmar, have fled to neighboring Bangladesh since August this year. The United Nations has called the Rohingya the world’s most persecuted minority group and described the atrocities by Myanmar’s authorities as “ethnic cleansing,” whereby one group removes another ethnic or religious community through violence. But the persecution of the Rohingya is not new. My research on the Rohingya Muslim experience in Myanmar shows that this pattern of persecution goes back to 1948 – the year when the country achieved independence from their British colonizers. Here is their brief history. The British also promised the Rohingya separate land – a “Muslim National Area” – in exchange for support. During the Second World War, for example, the Rohingya sided with the British while Myanmar’s nationalists supported the Japanese. Following the war, the British rewarded the Rohingya with prestigious government posts. However, they were notgiven an autonomous state. In 1948, when Myanmar achieved independence from the British, violent conflicts broke out among various segments of its more than one hundred ethnic and racial groups. After independence, the Rohingya asked for the promised autonomous state, but officials rejected their request. Calling them foreigners, they also denied them citizenship. In 1950, some Rohingya staged a rebellion against the policies of the Myanmar government. They demanded citizenship; they also asked for the state that had been promised them. Ultimately the army crushed the resistance movement. 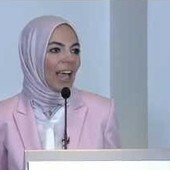 Much like today’s terrorists, the rebels at the time were called “Mujahid” or engaged in “struggle” or “jihad.” It is important to point out that the international community has never agreed on how to define “terrorism.” The legal definition could vary by country as politics dictates its contours. As scholar Ben Saul says, officials can use its meaning as a weapon against even valid political rivals. The lack of consensus, as Saul argues, reflects disagreement about what violence is legitimate, when and by whom. In 1962, just over a decade later, a military coup culminated in a one-party military state where democratic governance was woefully lacking. During the next 60 years of military rule, things worsened for the Rohingya. The authorities saw the minority group as a threat to nationalist identity. Calling them foreigners, the army killed, tortured and raped. They closed Rohingya social and political organizations. They also transfered private Rohingya businesses to the government, debilitating the group financially. Further, the Rohingya suffered forced labor, arbitrary detention and physical assaults. In 1991 and 1992, more than 250,000 attempted to escape to Bangladesh. In 1977, when the army launched a national drive to register citizens, the Rohingya were considered illegal. More than 200,000 Rohingya fled to Bangladesh at the time because of further atrocities. Authorities pointed to their flight as purported evidence of their illegal status. The Citizenship Act of Myanmar, enacted in 1982, formally denied the group citizenship rights. This law required that a person’s ancestors belong to a national race or group present in Myanmar prior to British rule in 1823, to become a citizen. The Rohingya were still classified as illegal immigrants allowed in by British colonizers. As Human Rights Watch has noted, however, their presence actually dates back to the 12th century. Today, the Rohingya are the single largest “stateless” community in the world. Their “statelessness” or lack of citizenship increases their vulnerability because they are not entitled to any legal protection from the government. Without citizenship, they are deprived of basic rights such as access to health services, education and employment. The illiteracy rate among the Rohingya, for example, is a staggering 80 percent. Additionally, they have been denied the right to worship freely. They also face restrictions on the right to marry, move freely and own property because of their religious and ethnic identity. Even though Rohingya population growth has slowed down, anxieties not only persist but are codified in law: Rohingya couples are allowed no more than two children. Those who break the law risk imprisonment, and the government blacklists their children. Without legal status, they cannot go to school, travel or buy property. The police can also arrest and imprison them. Despite Myanmar’s recent democratic transition, the persecution persists. The current humanitarian catastrophe ostensibly began with an assault on police posts by the Arakan Rohingya Salvation Army, a new insurgency group. 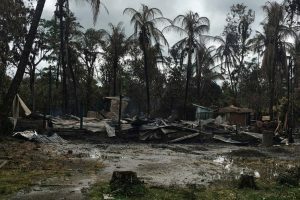 Rohingya refugees in Bangladesh told Human Rights Watch that Myanmar government forces had carried out armed attacks, and burned down their homes. In addition, they beheaded men, raped women and murdered children. Tens of thousands of Rohingya have become internally displaced. Even prior to this crisis, 120,000 displaced Rohingya had been living in internment camps. Amnesty International said there were indications that authorities in Myanmar have also placed illegal landmines at locations commonly used by refugees Among those killed were two children. What is more, international humanitarian aid has been blocked, preventing necessities like food, water and medicine from reaching a quarter of a million people. The Myanmar Army, meanwhile, denies any wrongdoing. Despite the global outcry, they claim to be conducting “counterterrorism” operations. Due to the severity of the human rights crisis, however, the British government decided to stop its defense engagement and training of the military in Myanmar. None of this criticism, however, has made Aung San Suu Kyi, Myanmar’s de facto leader and Nobel laureate, acknowledge the plight of the Rohingya. Amid international criticism, she recently canceled her visit to this week’s U.N. General Assembly in New York. 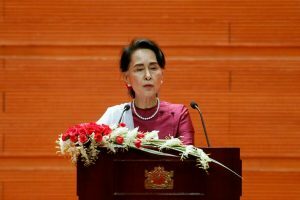 In her speech to Myanmar’s parliament, she denied that there had been any “armed clashes or clearance operations” since September 5, this year. Tragically, her actions signal there will be no end to the persecution of Rohingya anytime soon.